Do you remember those rink-dinky haunted houses that used to come around Halloween? You’d right through on some creaky old seat while an old dusty skeleton Halloween prop would pop up to “scare” you. 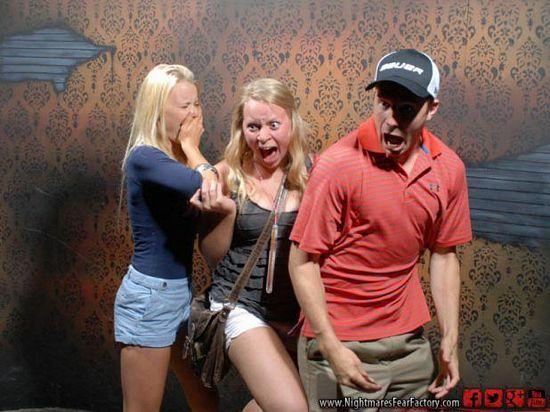 That’s not what the folks at Nightmares Fear Factory in Niagara Falls are doing. They’ve become famous for there Haunted House attraction. They proclaim themselves “The World’s Most Frightening Experience”. Sounds like fun to us! 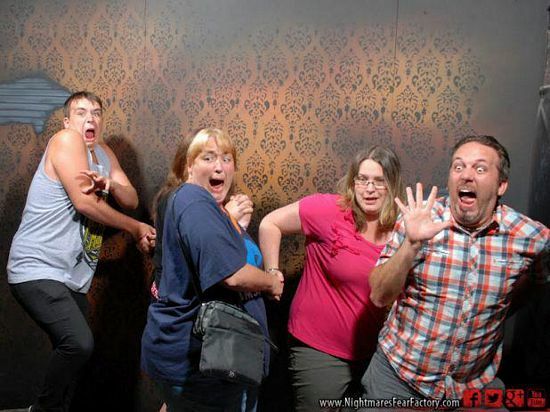 Check out some of the best (and funniest) reactions from Nightmares Fear Factory. Is that the best you’ve got? Cause, it’s actually pretty good. I dare you to try to make that face again, because it’s simply not possible. 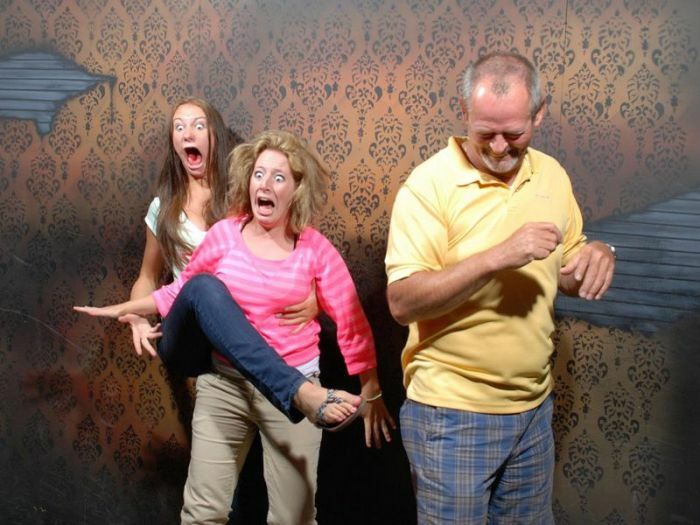 The family that is scared together.. stays together. Ahhhhh! I don’t want to know what they’re looking at. Which one is your favourite? Dang, now we’ve got a hankering for some good ol’ fashioned Halloween scares! We can’t wait for Halloween 2013! We’re going to have a lot of scary Halloween props in our stores this year, so you can scare people from the comfort of your own home. 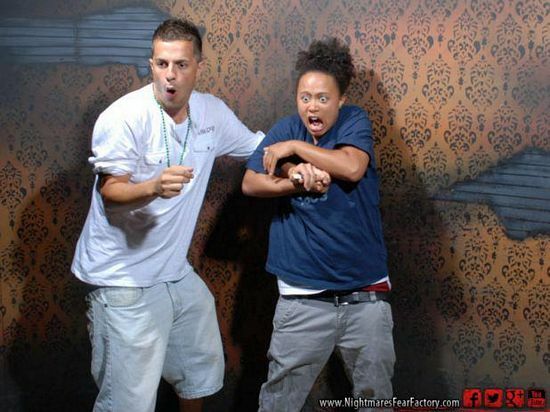 Have you been to Nightmares Fear Factory? Or does your town have a similar Halloween attraction? Tell us about it!